Soundarya Rajinikanth becomes mom! It's a baby boy! Filmmaker Soundarya Rajinikanth, daughter of superstar Rajinikanth, delivered a baby boy at a private hospital here. Home » Soundarya Rajinikanth » Soundarya Rajinikanth becomes mom! It's a baby boy! "The baby was born late on Wednesday night at Apollo hospital. Both -- the baby and the mother -- are absolutely fine," a source close to Rajinikanth told. 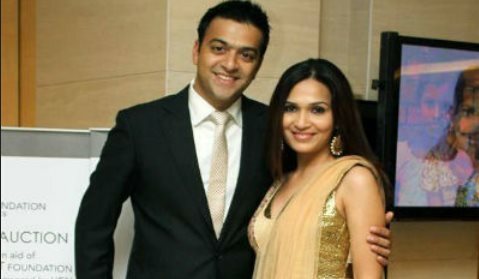 Soundarya married Ashwin Ramkumar, an industrialist, in 2010. This is the couple's first child. Soundarya is known for directing India's first motion capture animated film "Kochadaiyaan", featuring her father. In 2013, at the audio launch of "Kochadaiyaan", Rajini publicly wished for his daughter Soundarya to settle down with a family and chase her filmmaking dream subsequently. Rajinikanth already has two grandsons, Yatra and Linga, from his second daughter Aishwarya, who is married to popular actor Dhanush.